Passed my first player through 2018's regular success mode this afternoon! Took me about 3-4 hours, his scout eval finished at I think 148 (around the yellow area) and he was drafted in the 7th round. 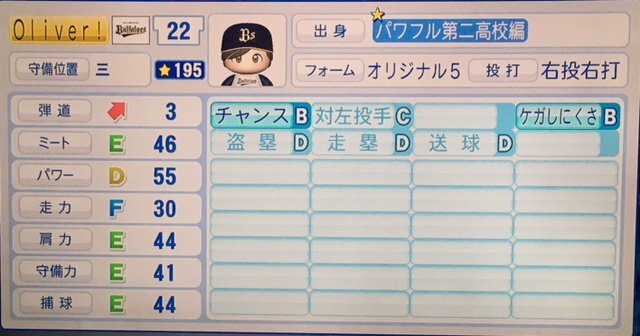 Won the summer district Koshien championship as a third-year, going a combined 8 for 8 with three doubles, one home run, and four RBI across two games. I can post his password if y'all want. I also have three players from the board game, I'll try to get their abilities soon. 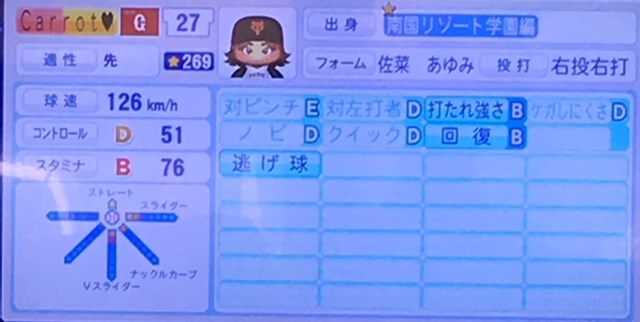 Second Pawapuro player! He only took about 3-4 hours to complete as well, did it in one run. 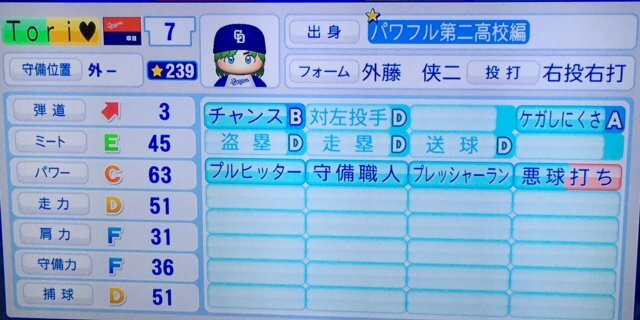 Got drafted in the first round after hitting a home run in the semifinals and winning the Koshien championship; had around 190 scout eval. First player passed through the resort mode. Plays pitcher and second base, dominated in every game during high school. 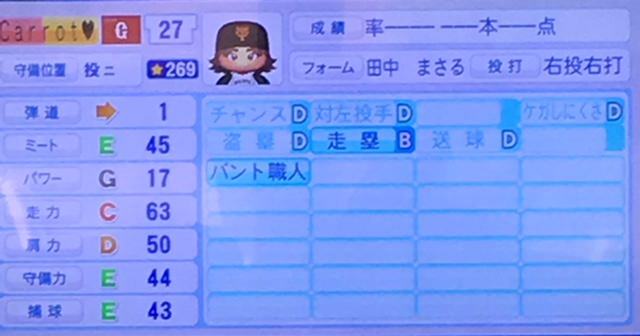 Third player passed through Pawafuru. He was drafted in the 3rd round, and in one 3-game stretch, went 11 for 11 with five home runs and 3 doubles. 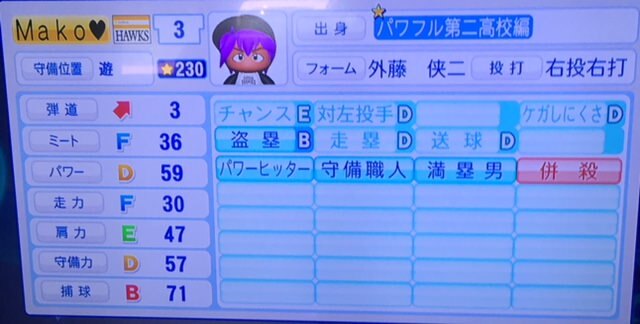 Proceeded to lead off the Koshien semis with a 149m bomb, but wasted several key chances in a one-run loss. "Defensive Officer"/"A defensive position craftsman"
Second player from the resort mode. I figured out I've been playing on easy mode so far. They were drafted in the 2nd round. 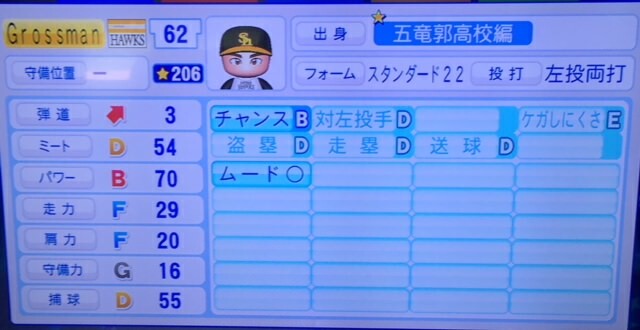 First player passed through the third mode, also on easy, drafted in the 8th round.